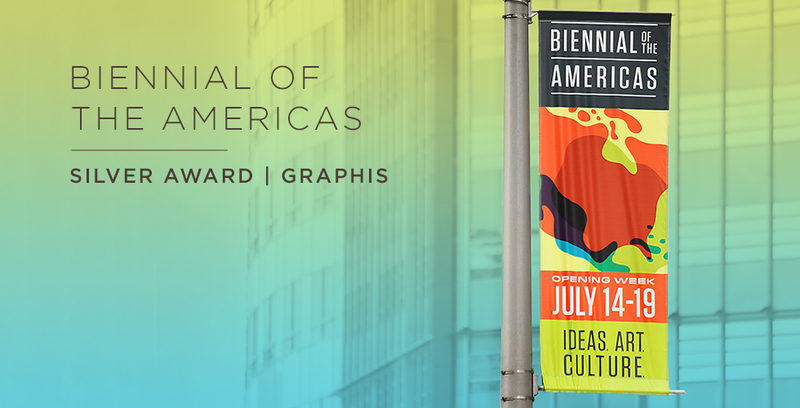 We are proud to announce that EBD won a Silver Award in the Graphis Design Annual for the Biennial of the Americas Campaign. 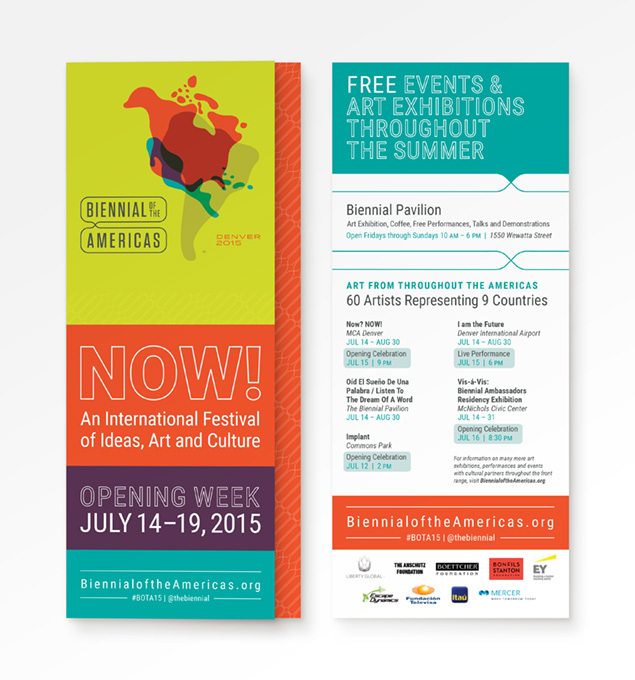 The Biennial of the Americas is a nonprofit that holds a weeklong festival every two years in Denver, Colorado. The festival connects artists, innovators, leaders, and experts from all over the Americas around current issues of the time. Through these connections, BotA seeks to inspire cross-cultural and cross-disciplinary solutions. 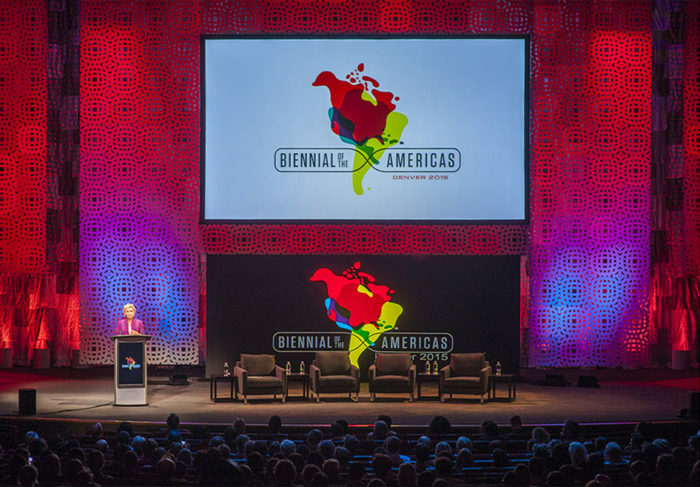 EBD’s rebrand for the Biennial of the Americas uses bright bold overlapping colors in the shapes of the Americas signifying the variety of cultures and the merging of ideas. The colorful rebrand includes numerous logo formats creating flexibility of usage. Taking into consideration the multi-lingual audience the Biennial attracts, a clean and simple typographic approach provides enhanced readability to a logo with a potentially foreign language. To support the new brand, EBD was responsible for designing a multi-faceted campaign including brand identity, positioning, signage, advertising, and merchandise. 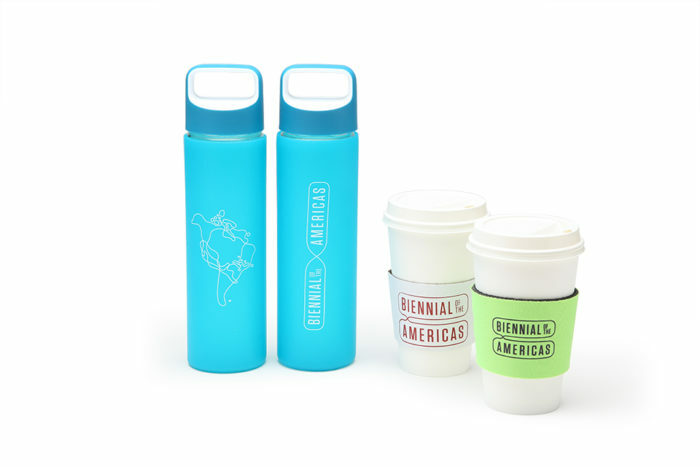 The resulting brand assets create a dynamic brand which generated excitement around the two-week festival and increased attendance and merchandise sales.